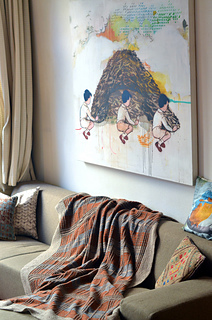 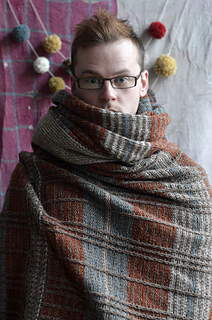 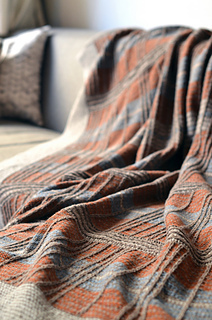 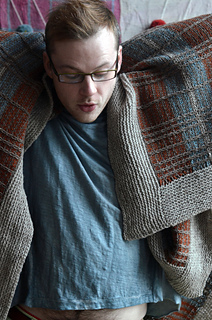 Horizontal stripes and vertical slipped stitches give a striking effect to this large blanket. 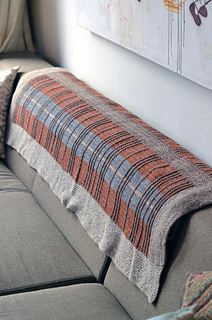 Occasional horizontal bands are worked perpendicular to the fabric, creating a plaid effect. 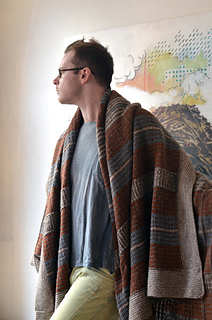 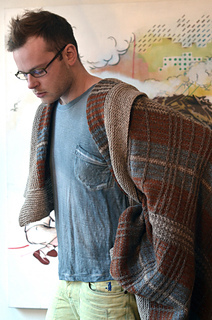 The stitch pattern is completely reversible so you can be cozy and look effortlessly fabulous at the same time. 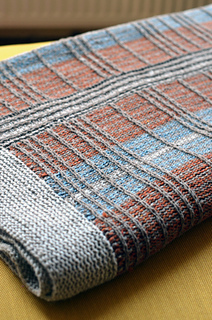 Work with the recommended four colors or use all your worsted weight stash yarns for an even more colorful blanket. 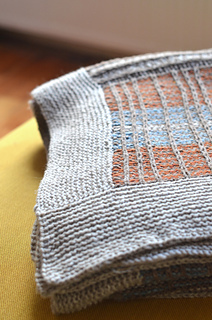 Errata: The garter stitch border is knit with CC (color D), not MC. 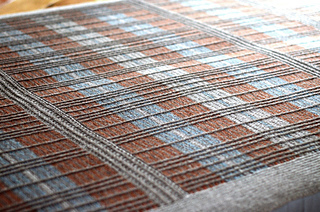 Finished Measurements: 58” / 147cm wide, 80” / 203cm long. 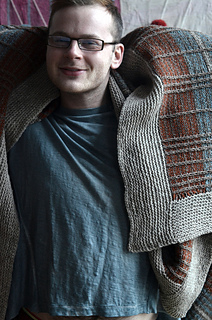 Measurements taken after blocking. 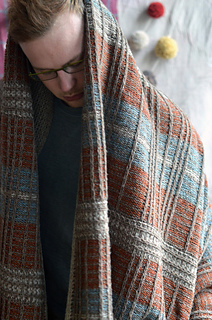 Note: The wide Color D border can be worked with fewer garter ridges, resulting in less yarn required. 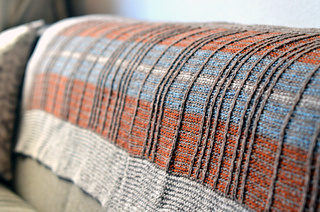 Colors B, C & D are the contrast color stripes. 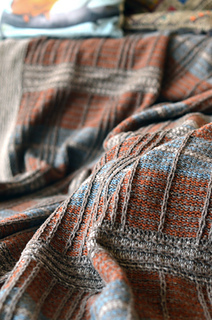 These could all be various scrap or stash yarns. 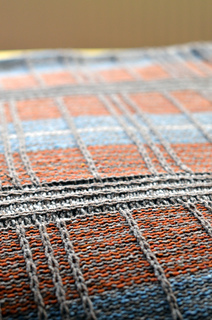 I chose to work with a total of 4 colors, but you could choose a dozen or more colors to distribute your yardage needs. 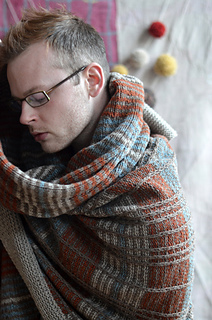 The blanket is knit flat, but circular needles are recommended so all the stitches are relaxed and comfy on the needles.